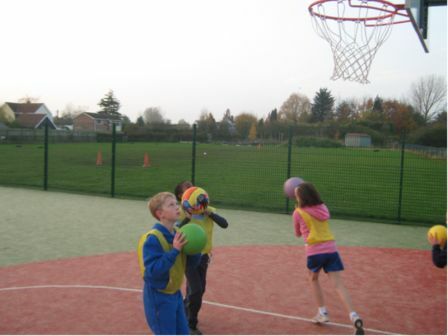 Following an injection of Government funding into Academies aimed at helping to improve the quality of PE and games provision for all pupils, Stisted Primary Academy was looking to invest in a new synthetic sports pitch suitable for a variety of ball games and also general play for its 105 pupils aged 4 – 11 years. The school had identified an area of green space it wished to transform into a multi use games area (MUGA) that could be used in all weathers for a wide range of activities. As the resulting facility needed to be suitable for general play alongside games and competitive sport, total-play encouraged the client to choose a sand-filled synthetic carpet due to its multi use nature, low level of maintenance and long life span. 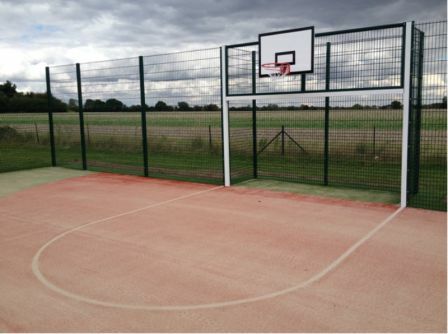 School representatives then visited a number of sites, including the total-play MUGA recently installed at Orwell Park School in Suffolk, and agreed that the sand-filled synthetic carpet option was an ideal solution. The specification also included a heavy-duty fence installed to the perimeter, with rebound panels at the base. 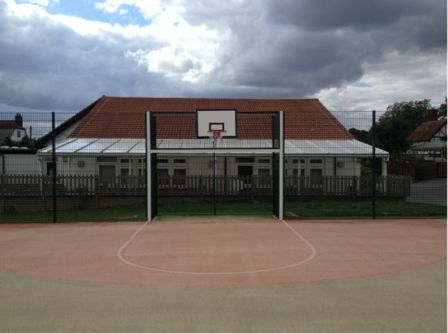 A bespoke goal unit was designed for both ends of the facility to provide recessed football goals combined with an integral basketball hoop. Due to the project being undertaken at a live school, it was required that the facility be constructed during a strict window of opportunity during the summer holidays. The entire project was completed and the site cleared within four weeks, within the budget initially agreed with the client.